Do you like Christmas? Do you know a lot of vocabulary about Christmas? Five listening stories about Christmas and the celebrations. 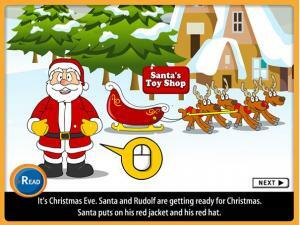 The lesson has many vocabulary words in English relating to the Christmas holidays. There are many activities after you listen to the story. A listening story. Mother is looking for Max and wants you to find Max. Max is playing the game hide and seek. Great for children. Twelve short stories are offered to read online with audio or print and read in the classroom or at home. There is a lot of good vocabulary in these books and they are easy to understand for beginners. Excellent reading material. A collection of six classic English stories, including The Princess and the Pea and Country Mouse, City Mouse. You can read along with the words as you hear the story. Excellent for practicing the pronunciation and use of words you already know. A collection of six stories about animals' adventures. You can read along with the words as you hear the story. Excellent for practicing the pronunciation and use of words you already know. A collection of six stories daily life including food, clothes, sports and life around the house. You can read along with the words as you hear the story. Excellent for practicing the pronunciation and use of words you already know. A collection of six stories about daily life including topics like transport, food, school and being at home. You can read along with the words as you hear the story. Excellent for practicing the pronunciation and use of words you already know. 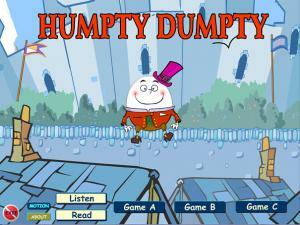 Listen to the nursery rhyme about Humpty Dumpty and play the games. 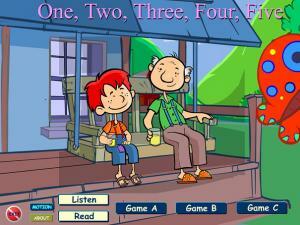 Listen and watch the animated nursery rhyme and then try the games that go with it. These are two very simple stories about daily life. One is just recently updated. You can read along with the words as you hear the story. Excellent for practicing the pronunciation and use of words you already know. 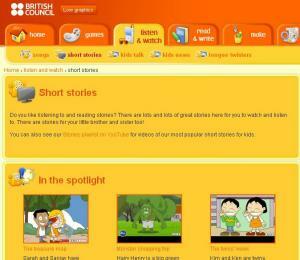 A large variety of listening stories for children. 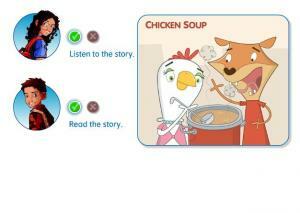 Children can follow along with the captions while listening to the stories. These stories contain information about holidays, expressions of quantities, nationalities, irregular verbs, science and much more. 30 stories with lots of interesting information. 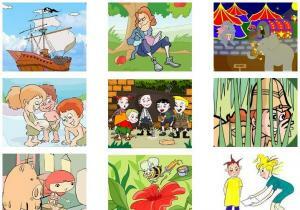 Twelve different stories full of vocabulary are offered for elementary and lower intermediate students. 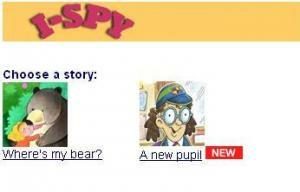 Practice reading with these interesting stories online with audio or print and read at home. Excellent for everybody. 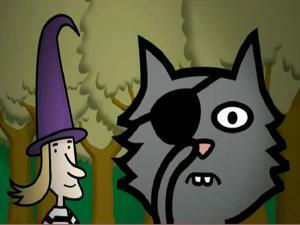 Listen and watch this fun animated story about Dotty the witch and Boo cat. Make sure you pay attention so you can answer the questions at the end of the story! This site has great animation to watch while you listen to the famous poem by Edward Lear. You can just listen to the poem, or you can read the words as you go along. There are interactive quizzes to test your listening skills and poem comprehension at the end. Its Christmas Eve and Santa is getting ready to deliver all the presents. Read the story to find out how he gets on. You can just listen to the story, or you can read and listen. 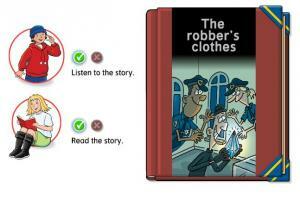 This story has fantastic animation with the option of text, so you can listen or listen and read the story as you go along. Find out what the friends decide to buy Hairy Henry for his birthday. Do you think they made a good choice? A collection of six stories about a variety of topics including hair, the movies, a robbery, tsunamis and a traditional Chinese tale. You can read along with the words as you hear the story. Excellent for practicing the pronunciation and use of words you already know. 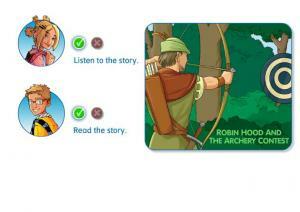 A collection of six classic and famous English stories including Robin Hood and Adventure Island. You can read along with the words as you hear the story. Excellent for practicing the pronunciation and use of words you already know. 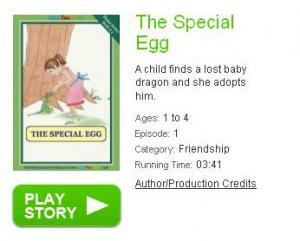 This collection of audio storybooks are read in English with English and Korean subtitles. You can listen to the English words to improve pronunciation and, if you know Korean, refer to the translated subtitles for word meanings. This collection of 8 famous English children stories allows you to read a book on your computer while hearing the words read aloud. 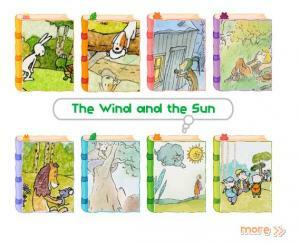 Topics of these classic tales include colors, shapes, animals, and life in the city. An excellent resource for practicing pronunciation of words you already know and learning some new words. 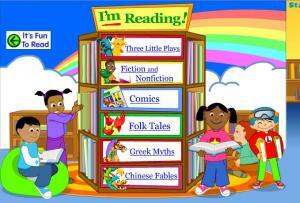 Animated children's books, music, puzzles and children's games that teach young children to read and write. 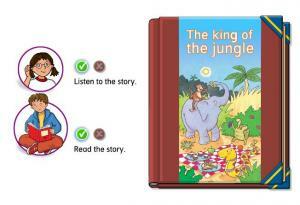 Story themes include pirates, jungle safari and other adventures. See the words to the story while you hear it being read aloud. 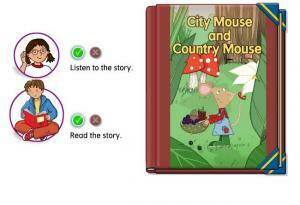 These online books are a series of the adventures of Ben the Mouse. You can read along with the words as you hear the story read aloud. Great for practicing vocabulary you already know and learning some new words as well as practicing pronunciation. 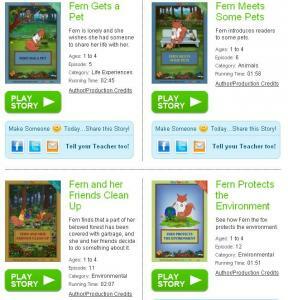 These online books are a series of the adventures of Fern the Fox. You can read along with the words as you hear the story read aloud. Great for practicing vocabulary you already know and learning some new words as well as practicing pronunciation. This is a brand new series of the adventures of Flame the Dragon. You can read along with the words as you hear the story read aloud. Great for practicing vocabulary you already know and learning some new words as well as practicing pronunciation. This is a video narration of the book "Hiawatha," by Florence Holbrook. 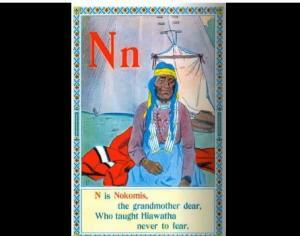 It is an alphabet book referencing the legend of Hiawatha, a Native American boy. These videos about kids' experiences across the United States are interesting for kids and perhaps useful for advanced adult learners looking for simple listening activities. There are transcripts available so you can read while you listen. 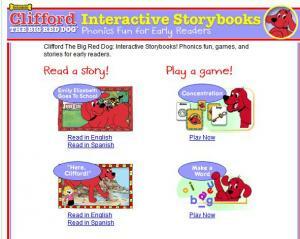 There are dozens of animated story books for children or adults to listen to and follow along with. All the words to the story appear on the screen and are highlighted as your narrator reads. 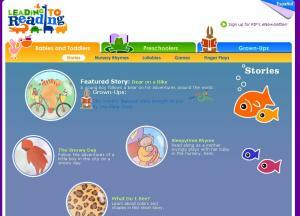 There are a variety of story topics including holidays, animals, fairy tales and world stories. 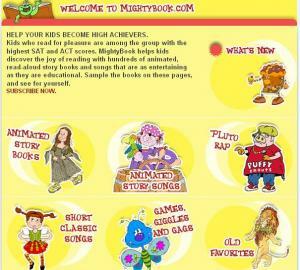 This site has fun letter games and audio storybooks for children with some experience in English. Nine stories for intermediate level students. Some of these stories are classics and excellent for a reading practice. Read and listen to the audio online or download and print to read at home or in class. 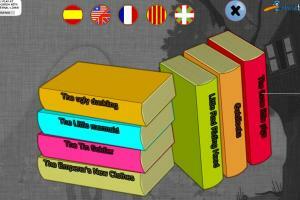 These are popular and famous stories from all over the world. The videos are lively and include a highlighted transcript. While these happy videos are designed for children learning to read they also will be useful to intermediate adult learners interested in listening activities. This collection of 12 famous English children stories allows you to read a book on your computer while hearing the words read aloud. Topics of these classic tales include animals, children, life at home and in the city. An excellent resource for practicing pronunciation of words you already know and learning some new words. Watch and listen to unique children stories while following along with the words. 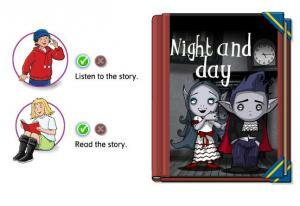 You can leave comments about each story or read other learners' commentary. 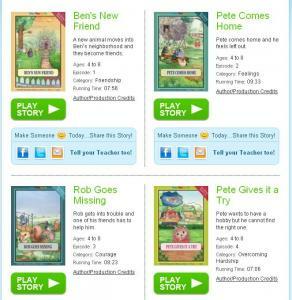 This site is meant for English-speaking children, but the "Animated Story Books" are good practice for intermediate learners as you can follow along with the words as you hear the story. For kids there are also fun games based on the readings. "Open" each of these books to hear a popular fairy tale. You can read along with the words! While this site is intended for English-speaking children, it's also good pronunciation practice and a vocabulary builder for upper intermediate or advanced students. 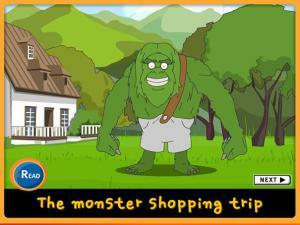 This site is meant for English-speaking children, but the Audio Stories are good practice for advanced learners as you can follow along with the words as you hear the story. 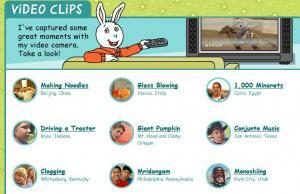 Kids will still enjoy the topics, but it is not animated as some other sites. 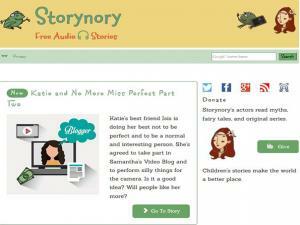 Storynory is a fantastic site that has 100s of free audio stories, all of which come with an HTML5 audio player that works on mobiles, tablets and most desktop browsers. 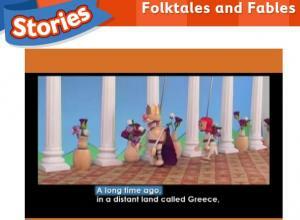 Story topics range from fairy tales, Greek myths, classic books and poems. Look through the contents and you are sure to find something you will love!